No visit to Finland is complete without a trip to the sauna. We’ve gathered the most interesting sauna experiences in Lapland, from a traditional smoke sauna to the luxury sauna experience. Whichever you choose, enjoy the heat! The smoke sauna at Kiilopää fell center is like heaven after a day outdoors. The gentle heat relaxes the muscles and mind. A refreshing dip into the fell brook running next to the sauna is a must. The sauna is open to the public and is heated three times a week. 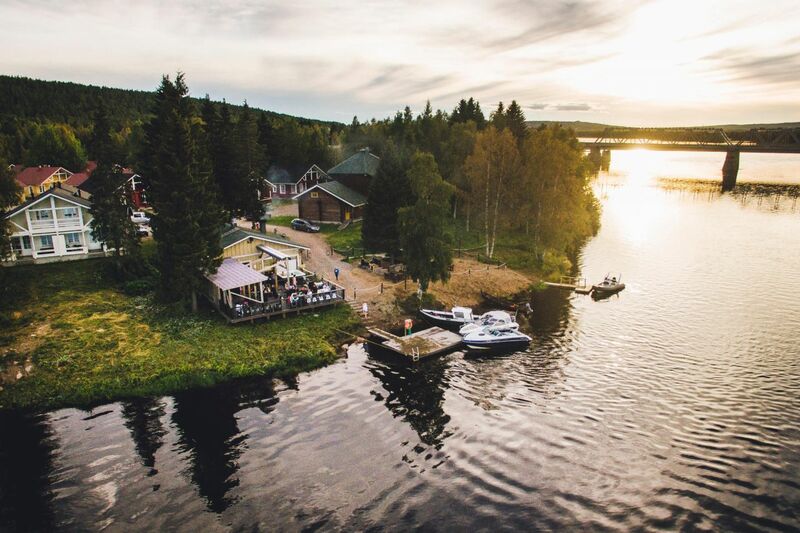 Kesärafla Sauna in Rovaniemi is the place to be if you wish to meet locals. This log-built sauna seats 35 but is seldom full. The wood-heated stove offers a gentle and enjoyable heat even for the inexperienced sauna-goer. The sauna experience is not complete without a trip to the Kemijoki river. After the sauna, grab a snack and a cool drink on the riverside terrace. Sauna on a ski lift? Sounds crazy, but it’s true. Ylläs boasts the one and only sauna gondola in the world, taking up to 4 people on a 20 minute bathing tour with views as far as the eye can reach. 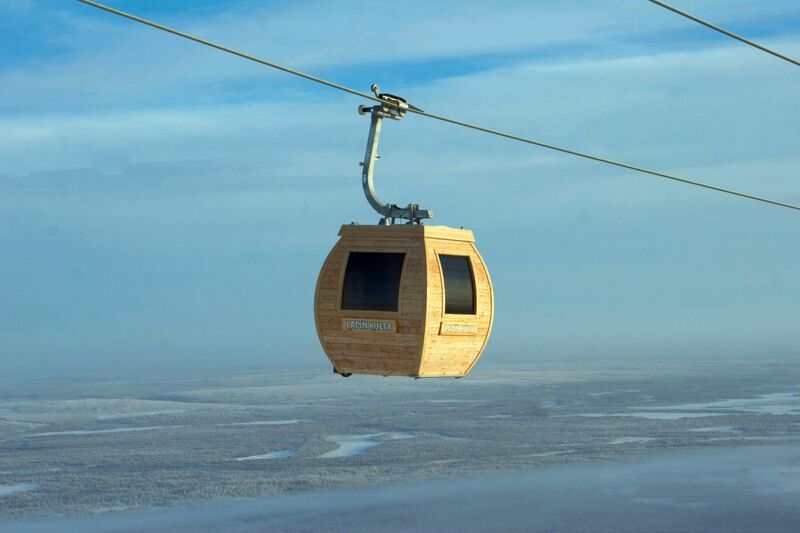 After sweating in the gondola bath, you can continue your sauna experience at the facilities on the top of Ylläs fell. 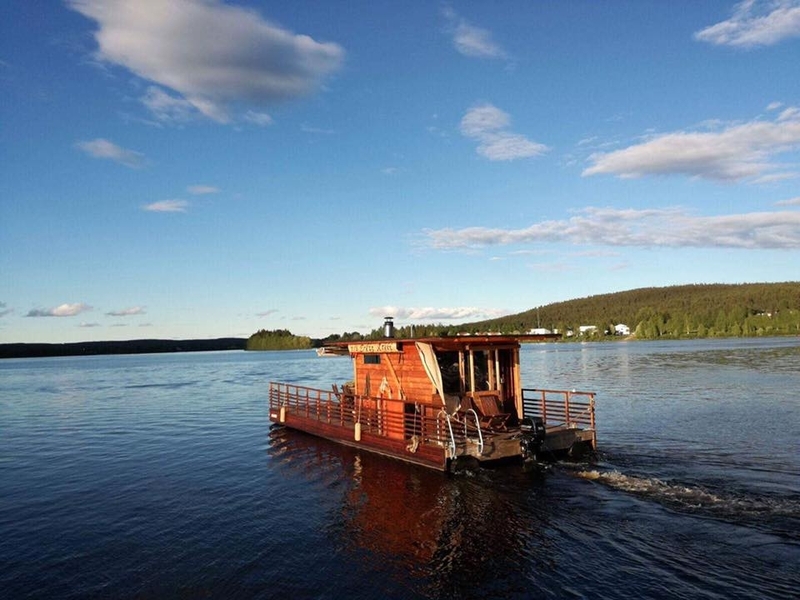 The sauna raft M/S Erkin Arkki carries you across the scenic waters of the Kemijoki and Ounasjoki rivers, which meet in the heart of Rovaniemi. You can bathe in the wood-heated sauna while the raft floats on the river. When you feel like cooling down, the skipper will stop, and the river is all yours for a refreshing swim under the Midnight Sun. 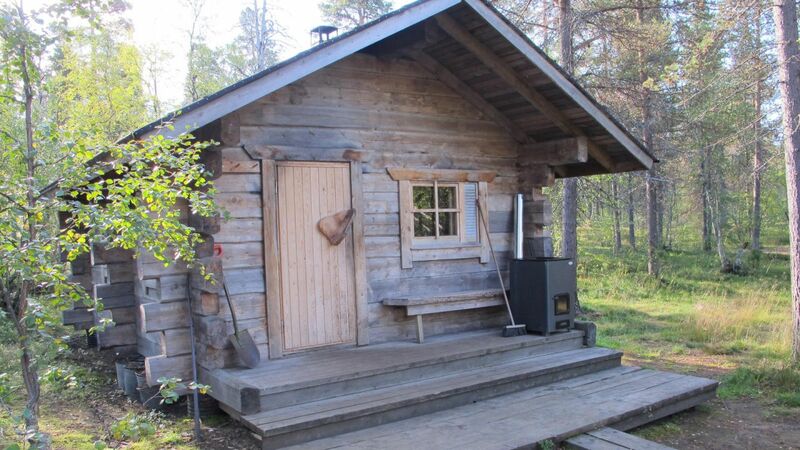 If hiking is your thing, you will find a lovely sauna in the heart of the UKK National Park. In conjunction to the Luirojärvi open hut, (nicknamed the Luirojärvi Hilton), there is a wood-heated sauna where hikers take turns for a replenishing bath. A jump in Luirojärvi lake gives a nice contrast to the heat and an extra boost to tired legs. 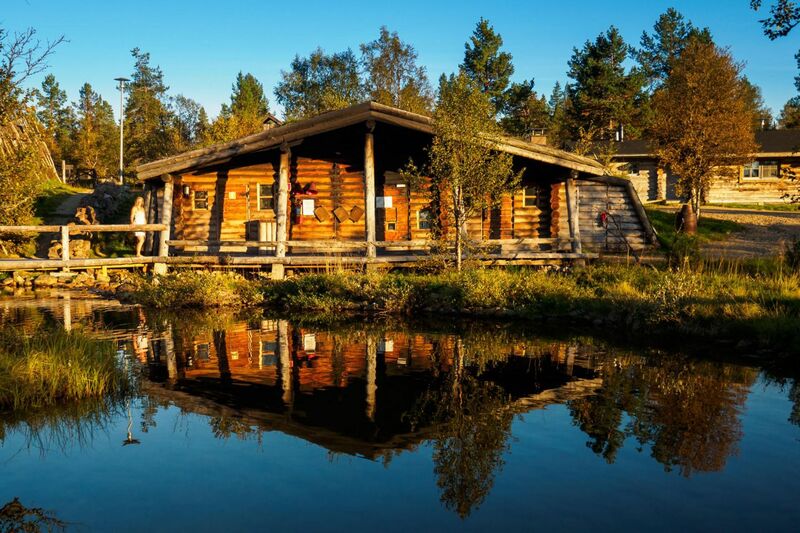 Just a short drive away from downtown Rovaniemi awaits a sauna experience with style. 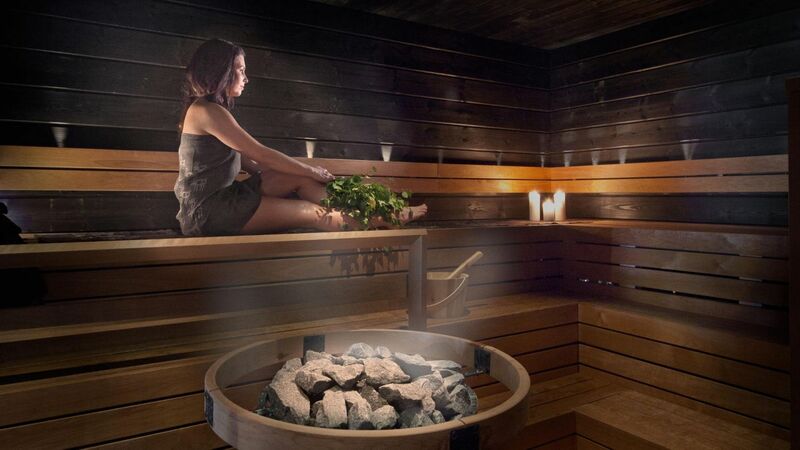 Metsäkyly Arctic Forest Spa has various saunas and a stylish lounge for after-sauna relaxation. From the Jacuzzi on the porch, you can admire the Midnight Sun or the stars of the Milky Way on late summer evenings. The Bothnian Bay National Park, in the archipelago around the towns Kemi and Tornio, hide secret gems. 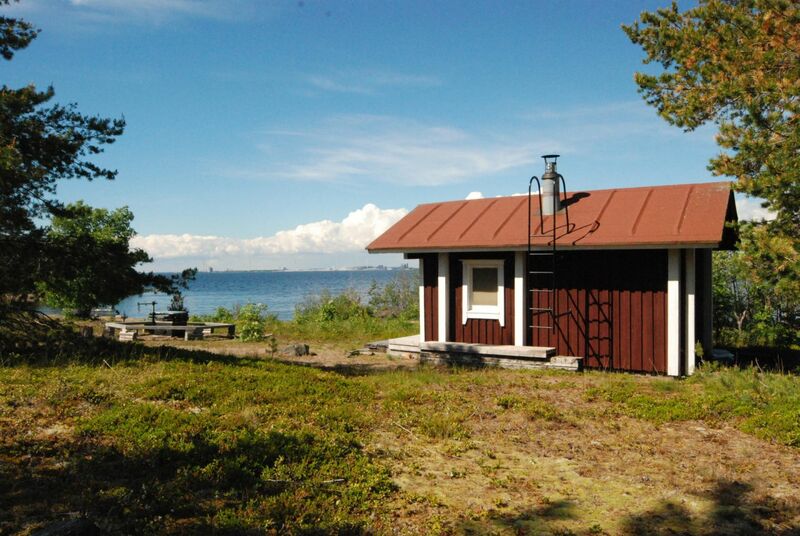 The rental cabin on Vähä-Huituri island features a seaside sauna, and on Selkäsarvi island, there is a sauna open to the public. These islands can be reached either by boat or kayak. Remember to bring your own drinking water and food! If you thought that tents are just for camping, you need to try a sauna tent. Set up a portable sauna tent seating 3-5 by a lake or river, or just about anywhere, and enjoy! (Remember to keep in mind fire safety and Everyman’s Right.) 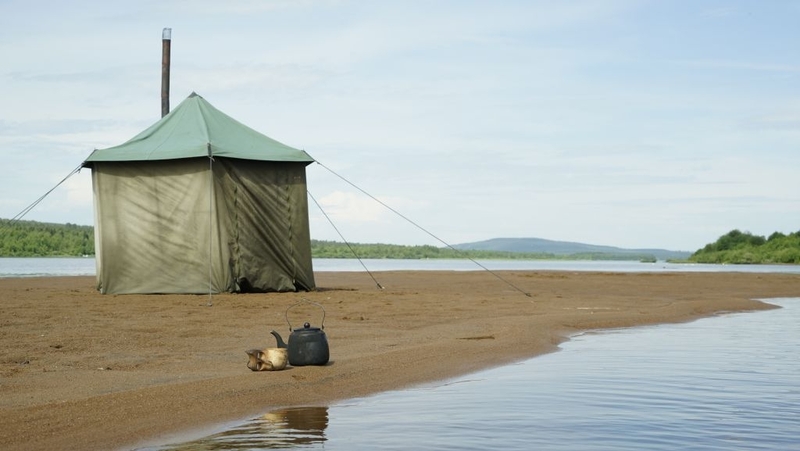 Contact Tapahtumaelämykset and reserve your own sauna tent this summer.